MyAccount Login to view your account. We've made it simple for you to manage your account, view your bills, and update your details via your customer web account. If you are an existing MyAccount user (prior to the 27 June 2016) you will need to create a new login in the updated MyAccount portal. Please note: This account login is for Residential and Small to Medium Businesses. Commercial and Industrial business customers can access SERVO here. Pay Bill Pay your utility bill in one click. Help & Support View Help Guide. 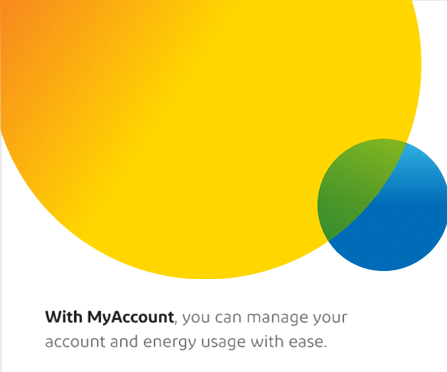 Just for registering for MyAccount, you could win a year’s free electricity up to the value of $1,500! Click here to find out more. Register for direct debit and ebillingChange your billing method to receive your bills via email and avoid missing out on pay on time discounts by registering for direct debit.